Even in July, bring a jacket! Get ready to play in this premier recreation paradise, where bird watching, photography and every possible outdoor recreation activity is offered. At the end of the day, relax in one of several day spas in Canmore. Kananaskis Country, located southwest of Calgary, comprises five provincial parks as well as the resort village of Kananaskis itself. This is recreation central: take advantage of beautiful scenery, bird watching (bird migrations in October are especially impressive! ), and wildlife spotting. Get ready to see elk, deer, Rocky Mountain sheep, bears, snowshoe hares, and moose. Nearby Canmore is home to a cave system known as the 'Rats Nest', and with a guide, visitors have the opportunity to embark on an in-depth exploration of these mountain caves. Hiking companies offer escorted hikes deep into the Rockies, and Aboriginal guides teach about native traditions on horseshoe and cross-country skiing trips. Stay in Kananaskis Country and indulge your sporty side! 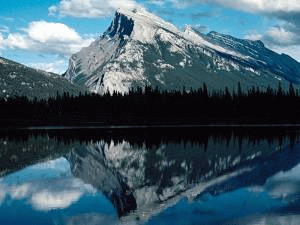 World-renowned Banff National Park offers a small-town experience in the midst of the stunning Rocky Mountains. Spend the day skiing at one of three world-class ski resorts, camp out for the night, explore nearby caves and springs, cross-country ski spectacular trails, and relax in natural hot springs to unwind. The rumors are true: Banff is spectacular. Imagine yourself away from the rush of city life, amidst shimmering glaciers, waterfalls, mountain pastures, and wildlife. Located just 128 km (80 mi.) from Calgary, Banff hosts four million visitors each year, yet still maintains its cozy small-town feel, making it a hot spot for visitors year round. Hop on the Banff Gondola and ride up Sulphur Mountain where three levels of observation decks offer a 360-degree view of Banff and the mountains surrounding the park. The Banff Upper Hot Springs (one of several hot springs in the area) is a historic spa and bathhouse set against the stunning Rocky Mountain scenery - talk about relaxation. The springs are 39 degrees C (102 F) year-round and offer visitors the opportunity to relax and rejuvenate in the beautiful surroundings of Banff National Park. Banff is also home to three world-class ski resorts, so don't be surprised if everyone you meet has flown in from afar for the unparalleled ski conditions. Banff National Park with all its natural riches is the perfect place to enjoy all the Rocky Mountains has to offer. Stand in awe at the sight of the green-blue waters of Lake Louise, in front of the towering Victoria Glacier. Ski at this internationally renowned destination, or cross-country ski, hike, horseback ride or bike Lake Louise's world-class trails. White water rafting on four nearby rivers is also popular with the thrill-seeking tourist. For a peaceful escape, check out Lake Louise, a crystal blue-green lake set against the backdrop of the Victoria Glacier (known as the 'Jewel of the Rockies') located 183 km (114 mi.) northwest of Calgary. Standing at the lakeside, its colour seems almost impossibly teal. Lake Louise must be seen to be believed. Hiking to the tops of lofty mountains, cross-country skiing, soaking at a spa or natural hot spring, canoeing … these are ingredients for a perfect day at Lake Louise. If you're in for a thrilling adventure, check out the escorted whitewater rafting tours for both beginners and more advanced rafters. The Brewster Lake Louise Stables offers guided horseback rides to the Plain of Six Glaciers or Lake Agnes. In the wintertime hop on a sleigh ride at the Chateau Lake Louise that will take you all the way to the end of Lake Louise. The Lake Louise sightseeing gondola is a fourteen-minute ride to a 6850 ft (2088 m) elevation where the surrounding region can be seen from a bird's eye view. Book accommodations in Lake Louise, and see this blue-green wonder of nature for yourself! The largest ice field south of Alaska, the Columbia Icefield will astonish you. Walk around on glacial ice at Athabasca Glacier in Jasper National Park, and taste pure glacial waters. Drive through this unique region alongside a chain of massive ice fields, and experience truly 'Canadian' sights of sparkling glacial ice and crisp snow. This type of scenery is generally expected to be found in Alaska; in fact, the Columbia Icefield is the largest ice field south of Alaska. Covering 389 sq km (233 sq mi), this territory is something every visitor to the Canadian Rockies should see. Several guided tours of the ice field are available, and you can even walk around on the Athabasca Glacier in Jasper National Park, as well as have a taste of pure glacial water! Visitors to Jasper enjoy wildlife and nature untouched, unspoiled. Viewpoints overlooking falls, hot springs, lakes, ranching communities, and unparalleled wildlife experiences await you here in Jasper National Park. Covering 10,800 sq. km (4170 sq. mi.) of land, Jasper National Park is a protected mountain ecosystem allowing visitors to enjoy nature through exploration and outdoor activities. Jasper is a 309 km (192 mi.) drive from Edmonton. Check out Athabasca Falls and the beautiful view offered at several points along the falls. If you have the time, stay awhile and picnic, or go cross-country skiing. Goat Lookout also offers stunning views as well as a picnic area where mountain goats and bighorn sheep can be seen. Several nearby lakes offer family fun in both winter and summer seasons. Plan the perfect day at the Miette Hotspring, the hottest in the Canadian Rockies, with trails and picnicking areas nearby. You can travel with one of the park's accredited guides for an extended hike deep into the wilderness, and can even stay the night with a wilderness pass. Cardinal Ranch offers horse-whispering demonstrations, as well as overnight campouts via horseback. Grand Cache, Alberta is the gateway to Willmore Wilderness Park, where you will find trails, big game, flowers, lakes and rivers only accessible by foot or on horseback. For a longer stay in Jasper National Park, consider the Jasper Institute's courses on natural and historical topics such as photography, bears and wildlife. However long you are able to spend in Jasper, you will wish you stayed longer. Book a Jasper accommodation today. Our Banff Chalets at the foot of Castle Mountain are located within Banff National Park. Each chalet includes a fully equipped kitchen and a fireplace. Facilities include a hot tub, computer room and small gym. Guests enjoy the BBQ facilities or the fire pit. Gas station and grocery store are on site. Each rustic-style apartment/cottage includes a living area with a flat-screen TV and DVD player. Our lodge is a rustic restful atmosphere with a view of the mountains and within walking distance of downtown Banff and its shops and restaurants. We are at the south end of the townsite, on Spray Avenue, near the Banff Springs Hotel. We have a variety of suites and rooms with queen beds, TVs and loads of amenities. Located in central Banff, this bed and breakfast has shared kitchen facilities, free WiFi, offers hardwood flooring. En suite bathroom provides a hairdryer. A BBQ is available for guest use. A common lounge area and free parking is provided. Our Banff hotel has mountain elegance with warm, rich, natural materials. Located in the heart of downtown Banff, the Moose Hotel & Suites features 174 air-conditioned guests rooms, Spa & Pools with 10 treatment rooms, private outdoor hot pool, a bright indoor pool and exercise room, and 2 spectacular rooftop hot pools with views of the Canadian Rocky Mountains. Complementary WiFi. Our Banff hotel has simple affordable accommodations that are conveniently located in downtown Banff. The following amenities are available at our front desk upon request: Ironing boards, hair dryers, fans and basic toiletries. Rooms are not equipped with televisions or coffee makers. Television is available in the Café and lounge. The Banff Caribou Lodge features 190 well-appointed rooms including 6 spectacular loft suites. Facilities include The Keg Steakhouse & Bar, The Red Earth Spa, high-speed internet access in all guest rooms, and an exercise room with 35 person jetted hot pool, steam room, and exercise equipment. Downtown shops and restaurants are accessible via a pleasant 10-minute walk or complimentary shuttle bus. Our Banff hostel is located in a wilderness setting. It features a common kitchen. Snowshoes are provided for your use. Wooden furnishings and natural daylight are offered in all of our dormitory rooms. Shared bathroom facilities are provided. Our hostel has no electricity to ensure a rustic experience. You can relax in the shared lounge or by the outdoor fire pit. Our 96 unit Banff resort has a wide variety of accommodations to suit every taste. The Tunnel Mountain Condos, Chalets, Cabins and Suites are perfect for the family or a getaway with friends or co-workers. The Executive Suites are ideal for the business traveler and perfect for couples looking for a luxurious, romantic Canadian Rockies getaway. Our non-smoking Banff resort is located on peaceful Tunnel Mountain only 4 minutes above beautiful downtown Banff in the Canadian Rockies. Our distinctive alpine resort provides an ideal home base to explore the surrounding natural beauty. We offer a wide range of accommodations including studios, lofts, one bedroom condos, one bedroom loft condos, rustic chalets and large specialty suites. We are conveniently located a couple of blocks away from downtown Banff. Our hostel is divided into 3 levels surrounding a central courtyard. All rooms feature ensuite bathrooms. We currently have the following room types available. Female, Male, Mixed Dorm Rooms, 4 to 8 bed private rooms and a Queen room. Our Banff Bed and Breakfast offers elegantly rustic accommodations, gourmet breakfasts, and unparalleled service provided by local resident hosts. Our B&B is a short stroll to shopping, dining and cultural facilities while ski and hiking trails are only minutes away. The most amazing sightseeing is right outside our door! There are four cozy guest rooms and a common Great Room. We are located on Banff Ave, only minutes from restaurants, shopping and nightlife; our Inn offers standard and Deluxe Rooms with Jacuzzi Baths, Superb Lofts, and Honeymoon Suites with Fireplaces and Whirlpools. All rooms have individually controlled heating and air-conditioning units, and most have balconies. Distinct from the majority of Banff hotels, Buffalo Mountain Lodge is situated on Tunnel Mountain, formerly called "Sleeping Buffalo" by native peoples. Our main lodge is square timber, post and beam construction and high open ceilings. Our decor pays tribute to old-world craftsmanship with custom-made cherry, pine and bent-willow furnishings and copper and glass light fixtures. Half way between Banff and Lake Louise, HI Castle Mountain is just off the Bow Valley Parkway, a quieter highway where wildlife is a bit easier to spot. Within view of the iconic Castle Mountain, the hostel gives you a taste of wilderness living with some of the comforts of home, like a cozy lounge with a wood-burning stove. P. O. Box 1328 603 Banff Ave.
Bumper's Inn offers affordable accommodation and warm friendly service in Banff. Our quite peaceful location is surrounded on two sides by natural forest with Cascade Mountain looming in the background. Elk, Deer and a variety of other animals are a common site on the motel property. We are situated a block off Banff Avenue, away from the crowds. Our Banff hotel is popular for its spectacular and unobstructed views and its trendy vibe and eco-design. Located 2 km from downtown Banff amidst National Park woodlands, the 52 room intimate hotel is an exceptional Rocky Mountain experience. Guests rave about the interior, plush beds, Juniper Bistro, Lounge & Patio, outdoor hot tub, walking trails, wildlife viewing and those mountain views. We are in the heart of the Canadian Rockies in Banff. We have 2 cozy, self sufficient cabins in a quiet residential neighborhood that is only minutes away from the hustle and bustle of downtown. Our charming cabins both feature fully equipped kitchens, a relaxing living area, cable television with DVD, free WI-FI access and two double beds. We are pet and child friendly. This Banff motel is within walking distance of the shops and restaurants of downtown. The pet-friendly motel offers non-smoking guest rooms with mini-refrigerators and coffee makers. The Homestead Inn Banff features free on-site parking. Guests can use the pool, fitness facilities and other services at the 4-star Banff Park Lodge, located across the street. Tucked away on Tunnel Mountain, Hidden Ridge Resort is quiet and secluded with some of the most spectacular views in Banff and the Canadian Rockies. The modern condos feature wood burning fireplaces, full kitchens and patios or balconies. Soak in the giant outdoor hot tub, barbeque in the covered barbeque area or take a stroll along one of the many hiking trails that start outside your door. Our Banff hotel invites you to experience warm hospitality and exceptional comfort from the most prized location in downtown Banff in the heart of Banff National Park, a short stroll from boutique shopping and dining options, this bustling mountain town is begging to be explored. Or, if you prefer, stay on-site and enjoy a refreshing break on our seasonal outdoor patio off the main street. Our Banff hotel is steps from the glacier-fed Bow River and is a full-service resort hotel and conference centre. Experience the best of both worlds: a quiet location with quick access to a lively downtown Banff. Amenities include an indoor pool, eucalyptus-infused steam room, exercise facilities and whirlpool. Free secure ski, snowboard and bicycle storage is available in designated areas. Banff Rocky Mountain Resort is a relaxing retreat in the heart of Banff National Park. Set amid eight acres of private parkland, surrounded by the glorious scenery, minutes from downtown Banff, our Banff Resort's breathtaking location and extensive amenities are certain to provide a casual and memorable stay in the Canadian Rockies. Offering campsites from April 15th though October 15th, Spring Creek RV Campground is ideally situated in Canmore, Alberta in the beautiful Canadian Rockies. Only 23 kilometers from Banff, Spring Creek offers all the conveniences of a modern campground set in natural surroundings amid breathtaking scenery. Downtown Canmore with all its shops and restaurants is just a stroll away. We are located in beautiful Jasper National Park, only 3.5 km south of the town of Jasper on Highway 93. Secluded and peaceful on the banks of the Athabasca river and sheltered by Whistlers Mountain, home of the Jasper Tramway, Jasper House provides the ideal setting in which to enjoy the true Canadian Rockies experience. Walking trails leave from your front door and hiking trails are nearby. Our unique, family campground is nestled in the Canadian Rockies. Campers enjoy beautiful, authentic tipis, comfortable trappers' tents and secluded campsites in the heart of Kananaskis Country, an Alberta protected recreation area. We accommodate regular tents as well as RV camping. We are 45 minutes from Banff & Calgary in the Kananaskis Valley.